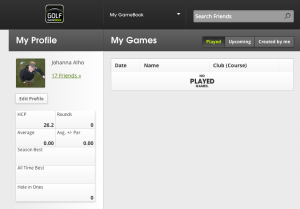 I got started with GameBook by signing up online. Hello everybody, my name is Johanna. I’m almost 30 years old and I play golf – have played for over 15 years. I have also been working with golf for many years as a journalist and press officer. My purpose here is not to write about myself, so this is probably enough background information – at least for now. I have been given a great opportunity to work with marketing and communications here at GameBook and today I’m beginning a 7-week journey into the world of GameBook app, which I have to admit I’ve never used. That’s a bit embarrassing, I know. But now that it’s part of my work I will try it out and get to know both the app and online services. Better late than never – isn’t that what they say? I’ve heard here at the office that there are some pretty cool new features, so let’s see if I can figure out how to use them. On this blog I’m going to share my thoughts, feelings, joys and sorrows during this exploration. If you are new to GameBook like me, maybe you can join me on this venture and get some tips on how to get started. 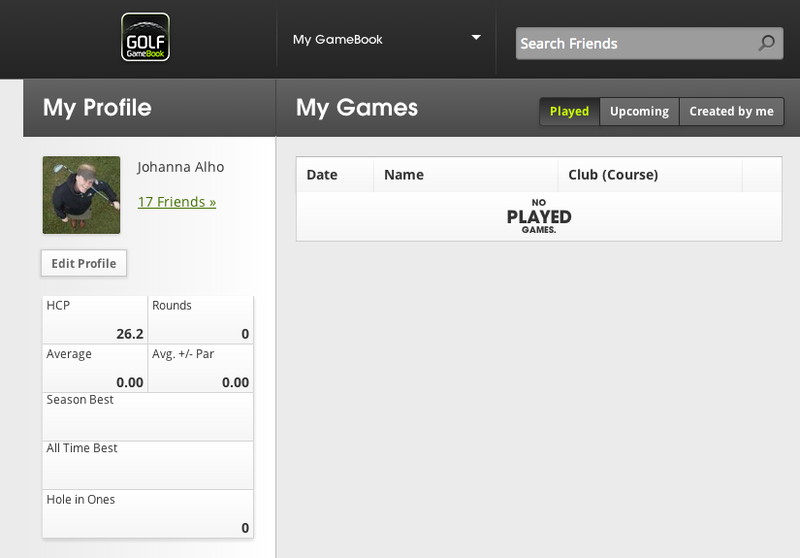 And if you are an experienced user of GameBook already you might get a good laugh out of this! Plus I’d be happy to have you help me out with some tips and stories about your experiences with the app. I’ve heard so many good things about GameBook that I’m really excited to get my hands on it and see for myself if it can live up to the expectations I have. I am a bit old fashioned and don’t really like people using mobile phones on the golf course for speaking purposes. But this scorecard app I’m happy to accept as I can never find a pencil in my bag when it’s needed. Creating a profile is so easy my grandma could do it. Well, at least if she knew how to use a computer. I started the project by creating a profile for myself. That was as easy as creating a profile for any social media – if not easier. If you haven’t done this already, I suggest you go do it right away. 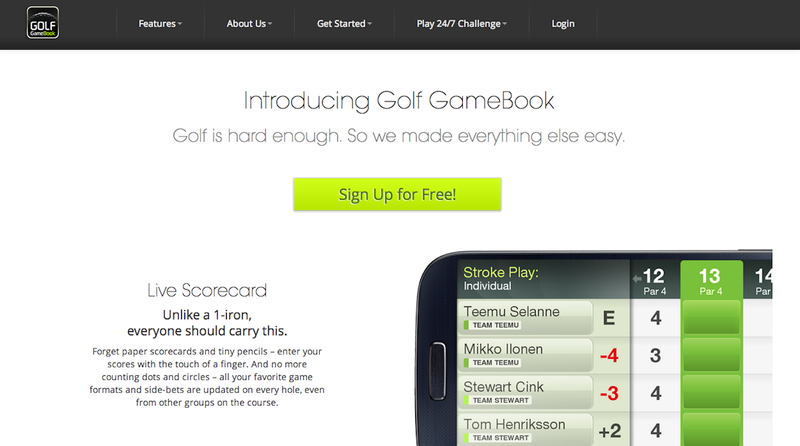 They say that golf becomes more fun with GameBook. To me golf is only fun when I’m playing well (which isn’t too often), so I wonder if the app will improve my playing skills? The next step after creating my profile is getting to know all the different features and most importantly getting out there and playing some golf! I’m hoping to get to do that later this week, so stay tuned! 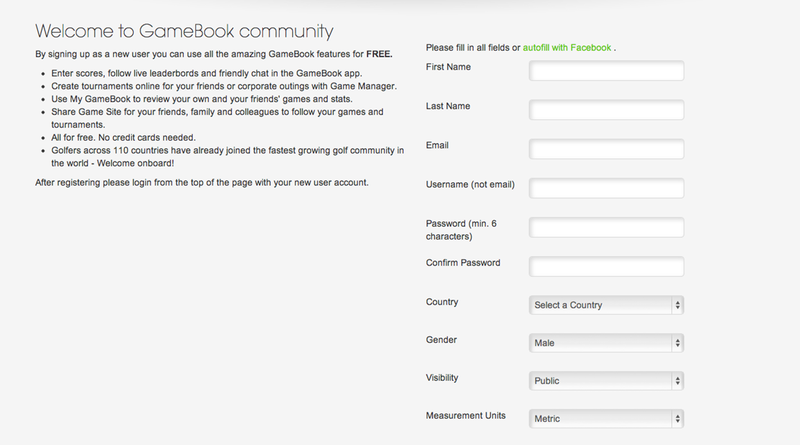 And if you wish to become a member of GameBook community too, you can sign up here. Ps. It’s free!